Meet Rumi, a British Pakistani woman who’s referred to as a ‘Coconut’ (brown on the outside, white on the inside) by the rest of the community. Born and brought up as a Muslim, Rumi spends more time enjoying fine wine and bacon than at the mosque. So when she meets Simon, a white guy, she hopes that his decision to convert to Islam will be enough to keep everyone happy. However, as Simon begins to explore his faith, Rumi’s world spins off its axis in ways she could never have predicted. How far will she go to preserve her identity? 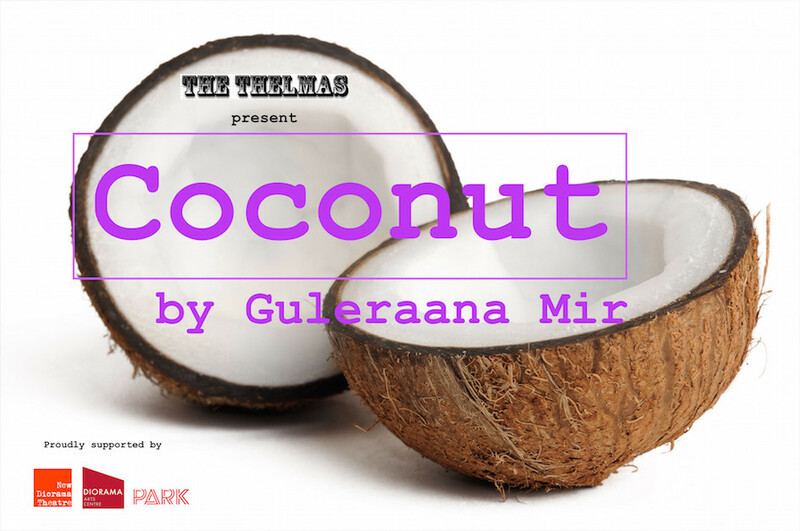 The Thelmas are very happy to currently be developing COCONUT by Guleraana Mir in partnership with New Diorama as part of their BAMER programme, Diorama Arts Studios and Park Theatre as part of their Script Accelerator programme. ​COCONUT started it's life as a 15 minute one-woman short as part of Ladylogue! in 2014.